In the federal government’s quest to execute a “war on drugs,” many people find themselves targets of criminal investigation for drug conspiracy. Drug conspiracy charges carry significant consequences, up to and including those rivaling drug crimes such as possession with intent to sell and drug trafficking. 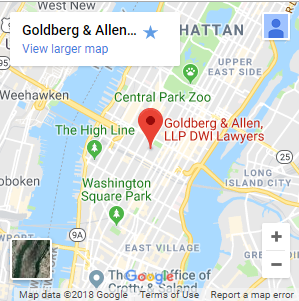 If you have been charged with drug conspiracy, the New York City lawyers of Goldberg & Allen, LLP, provide the skilled criminal defense you need. Both of our attorneys served as First Deputy Bureau Chiefs in the Brooklyn District Attorney’s Office. Furthermore, in this role, attorney Jay K. Goldberg led the Major Narcotics Investigation Bureau. As a result of this unique experience, we bring significant insight and perspective on how the government prosecutes serious drug charges. Based in Manhattan, we also represent clients charged in the Bronx, Brooklyn, Queens and Staten Island. In many cases, the government will bring conspiracy charges in order to gain leverage against individuals suspected of criminal drug activities. Most drug conspiracy charges are federal drug charges, meaning they are prosecuted in federal court. Federal prosecutors and law enforcement agents have extensive resources to investigate and prosecute suspected drug activities, making it imperative to work with knowledgeable legal counsel if you are so charged. Our attorneys have demonstrated trial experience handling drug defense in both federal court and New York state courts. As veteran trial attorneys, we understand what to look for and take every opportunity to suppress evidence obtained through illegal search and seizure, procedural errors and other violations of your rights. We also have a proven record of achieving acquittals in various drug defense claims. While we cannot guarantee the success of your case based on our past successes, we can guarantee that we will explore all options that protect your rights and best interests — both now and for the future. We have the experience and resources to provide the vigorous representation needed to fight serious drug charges. 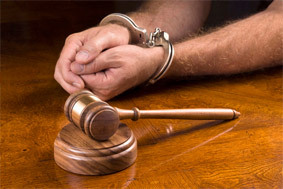 Contact us to discuss the circumstances of your arrest in a free initial consultation and honest case review.